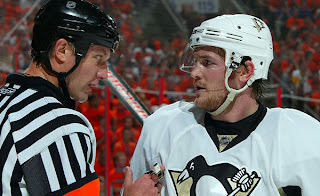 Despite the rumors and reports that were bandied about that Cooke and Shero were not seeing eye to eye, Pens Universe has learned this morning that LW Matt Cooke has verbally agreed to a three year extension with the Pittsburgh Penguins. The full terms of the deal have not been released but it is believed to be just under $2MM per year. Interestingly enough that's almost exactly what I assumed should happen. [UPDATED] Terms have been released. The Cooke deal is worth $1.8MM a season for 3 yrs with a NTC (no trade clause).